There was a time when even the fertility clinics of Denmark looked set to become 'the Nordic cowboys' of ART. Multiple birth rates of around 15% were considerably higher than reported from other Scandinavian countries, which were then pursuing a policy of single embryo transfer and recording multiple delivery rates of around 5%. But that isolated trend in Denmark, said Anja Pinborg from the University of Copenhagen, has since been reversed. Her presentation, outlining both the short and long-term consequences of multiple births, attributed the turnaround to new Danish guidelines on single embryo transfer (SET) and co-operation among public and private clinics. Multiple delivery rates in ART have now declined to 5% in Denmark, but elsewhere in Europe huge variations still exist - and the rate in African countries and even the USA is above 20%. Pinborg, who is a member of ESHRE's Executive Committee, is a veteran of important registry studies, which show beyond doubt that multiple pregnancies represent the 'most serious health factor' that ART patients face. In her opinion, freezing surplus embryos after SET may now offer a realistic way forward for reducing the incidence of multiples, given vitrification's high survival rates. Frozen embryo transfer, emphasised Pinborg, gives 'almost the same pregnancy rate as fresh' especially in women with a regular cycle. Using data largely from Danish registries such as the Danish National Birth Cohort, Pinborg reported that impaired brain development and growth is arguably the severest health consequence faced by babies born following double and multiple embryo transfer. 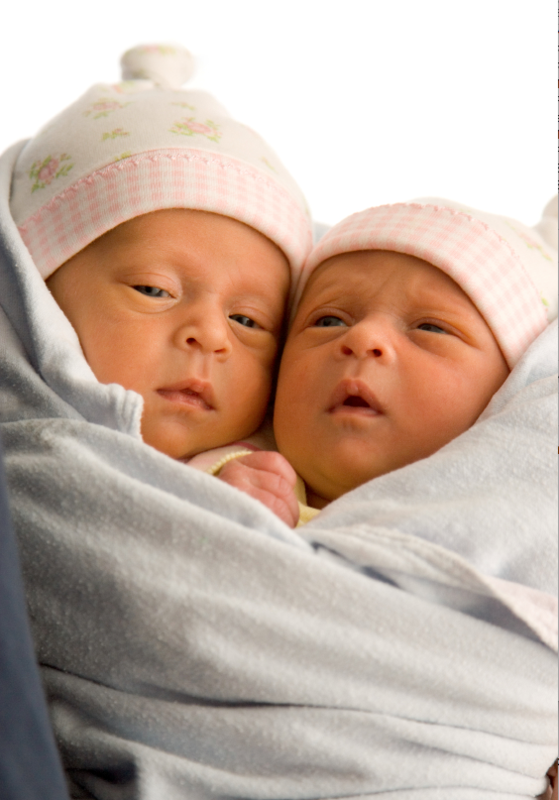 Outcomes in IVF twin pregnancies are worse than for two consecutive singletons, she added, and worse in general even in normal birthweight multiples, especially those born very preterm. Research on children aged 15-16 years shows that a lower proportion of twins pass 9th grade exams, with disabilities the 'most likely' reason for poor performance. A 2010 study concluded that cerebral palsy risk increases after both IVF and ovulation induction, and is strongly associated with multiplicity and preterm delivery . (1) The prevalence of the lifelong condition is nearly three times higher in ART babies than those naturally conceived, as indicated by a Western Australian cohort study published last year. Survivors of vanishing twins also face challenges. One in ten ART singletons from a double embryo transfer shared a uterus with a sibling who was spontaneously lost. Findings from a study by Pinborg herself showed that these babies who survive have higher perinatal risks which increase according to the gestational age at which their 'sibling' is miscarried. A 2010 study investigated all IVF deaths in the Netherlands over a period of more than 20 years. Of 17 deaths during pregnancy, nearly half related to a twin pregnancy and included factors such as pulmonary embolism. Several other studies have reported up to a 10-fold risk of very severe outcomes in multiple pregnancies, and an analysis of WHO multi-country survey data concluded that twin pregnancy was significantly associated with severe maternal morbidity and with worse perinatal outcomes, especially for the second twin. As for long-term consequences, Pinborg presented evidence of a link between multiple-birth babies who are small for gestational age with metabolic syndrome, which is associated with type 2 diabetes and cardiovascular disease. But despite these serious implications, she said, some would-be parents still persist with a mindset of 'more is better' and that two makes up for lost time. However, she noted that around 90% would choose SET in return for a healthy baby - once the risks of a multiple pregnancy are explained. 1. Hvidtjørn D, Grove J, Schendel D, et al. Multiplicity and early gestational age contribute to an increased risk of cerebral palsy from assisted conception: a population-based cohort study. Hum Reprod 2010; 25: 2115-2123.